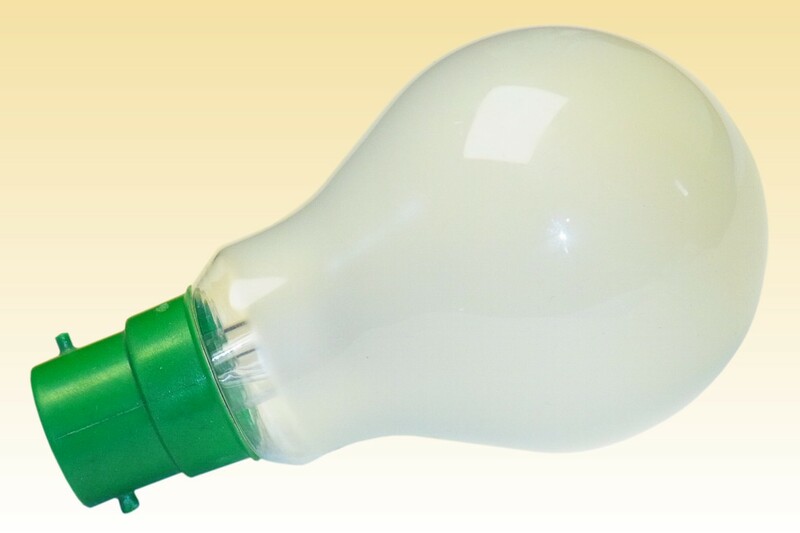 There are few modern electrical devices that have undergone such intensive and prolonged optimisation of their design, materials and manufacturing processes to bring them to the supremely refined state of the incandescent lamp. Its fundamental design has evolved no further since the early 1930s, but the period since then has certainly not been devoid of activity. 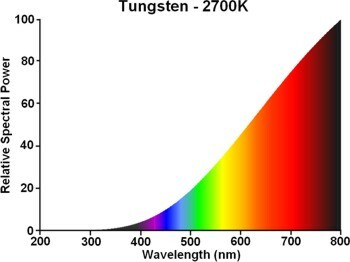 Almost no stone has been left unturned in exploring materials and processes that might lead to a cheaper lamp, and a small competitive advantage. 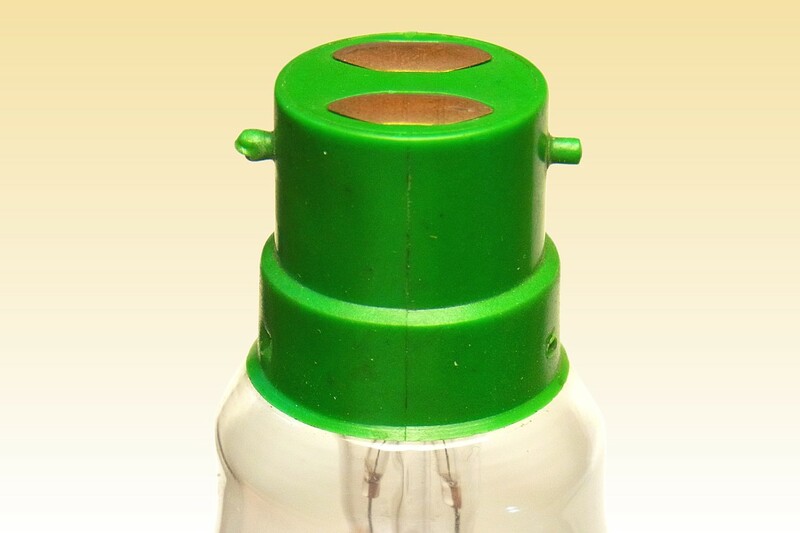 This particular lamp is representative of a research programme carried out by Osram-GEC in the 1980s to investigate the potential for cost savings by using plastic instead of the usual metal lamp caps. 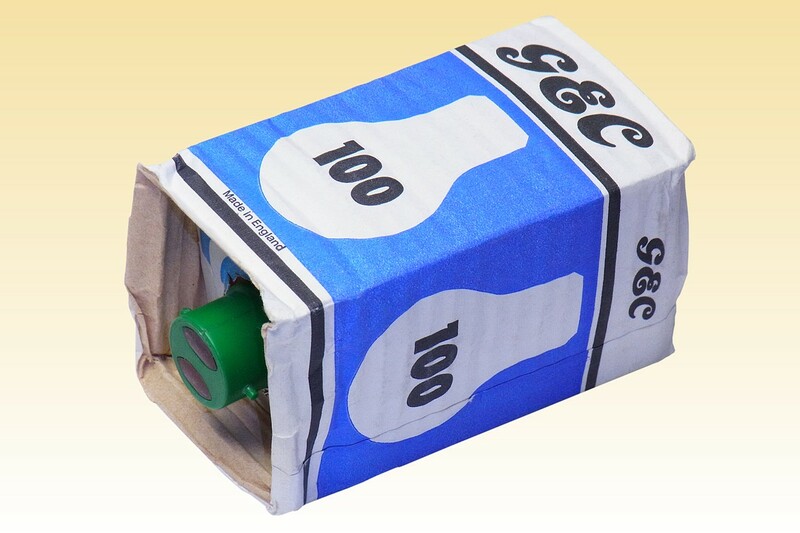 The cap is believed to be moulded in a thin-walled phenolic resin to achieve the necessary thermal stability. Different colours were used to identify the different wattages. It is equipped with a pair of brass contact plates stamped from metal sheet, with small tabs passing through slots in the cap that are internally folded into a V-profile. 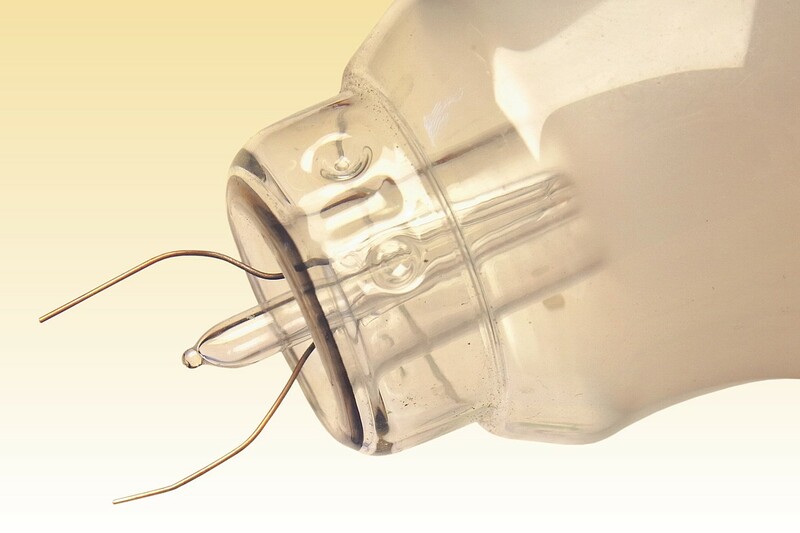 The leadwires from the lamp are pushed against these to make contact without need for soldering, and the cap is mechanically fixed to the bulb by piercing its shell and deforming it into a specially keyed glass neck without need for adhesive cement. 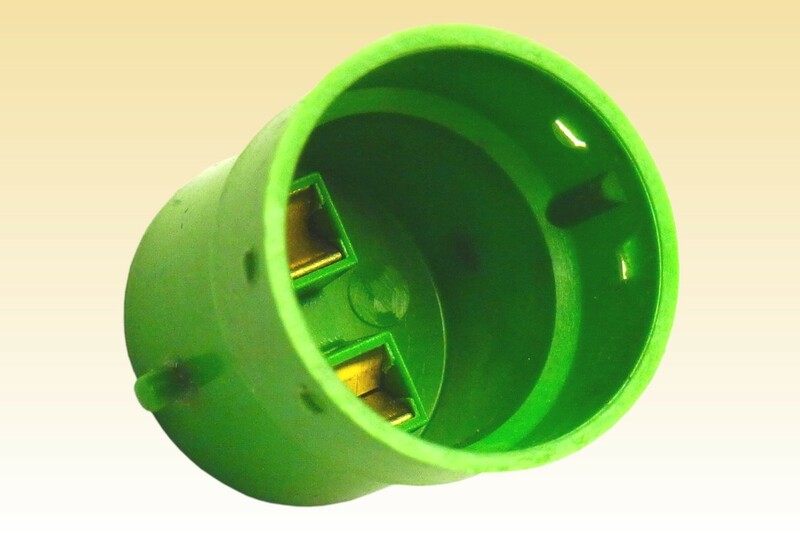 An anti-rotation lug delivers the necessary torsional strength. The design was never implemented in production, for unknown reasons. Possibly the small savings in processing costs were not large enough to offset the high cost of plastics, or there may have been problems with the reliability of the solderless and cementless joints. References: 1) Private Communication, Graham Watson & Charles Ramsdale, Victory Lighting Wembley, 1996.